As a #WorshipLeader, do you struggle with band members who don’t read #music? Do you find it helpful if your team members read music? Does reading music limit your creativity, or allow you to have the tools needed to be even more #creative? Should you encourage your band and singers to learn how to #readmusic, and if so can you teach them? 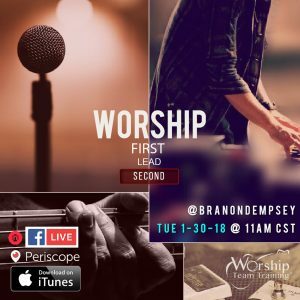 Learn the value of reading music for members of a worship team and be able to understand if you should require your team to learn how to read music.